The rambling troubadour, Beans On Toast, will be playing a special NYE party show tonight at The Monarch. Head down to Camden tonight for live music between 8-10pm from Beans On Toast and Funke And The Two Tone Baby. It’s going to be a big year for Houdini Dax in 2016, and it is our pleasure to announce that they will be playing This Feeling’s ‘Big In 2016’ event at The Amersham Arms on 30th January 2016. The riotous, swinging six piece Molotov Jukebox have announced a huge UK Tour in 2016 to support their new album, Tropical Gypsy. Rolling through a town near you in April/May, Molotov Jukebox will have you dancing the night away as they perform tracks from the new album and old classics too! These shows are not to be missed! 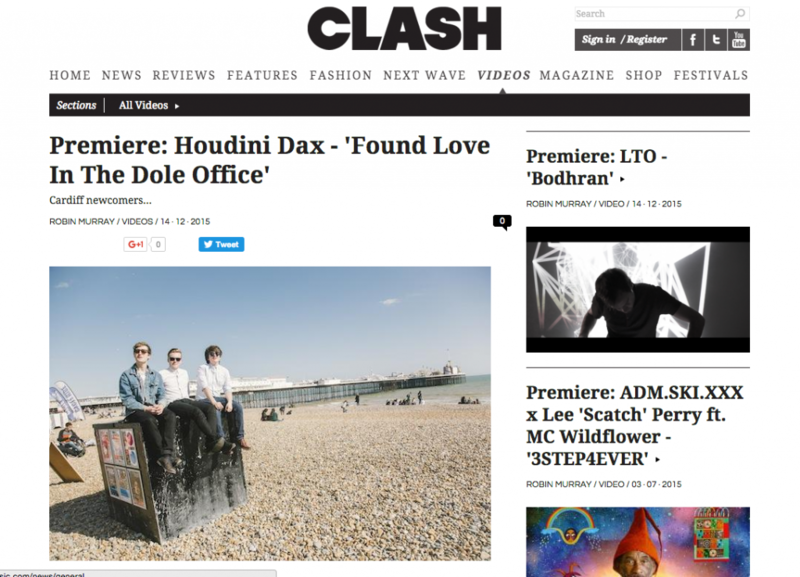 The energetic and punchy Houdini Dax have premiered their new single, “Found Love At The Dole Office”, on Clash Music. The catchy number is based on an unusual scene that lead singer Jack Butler witnessed in a Job Centre, and we can guarantee you won’t be able to get this one out of your head! It is that time of year again, when the bells start ringing, the carol singers start singing, and The Church play a special Nunplugged Christmas show! On Thursday 17th December, The Church will play an intimate Christmas themed show titled ‘Born In A Barn’ at Paper Dress Vintage. It is our pleasure to also announce that special DJ sets will come from, DJ Wizeman, DJ Chucks (The Correspondents) and Molotov Jukebox! So get yourself down for what will be a riotous festive celebration! 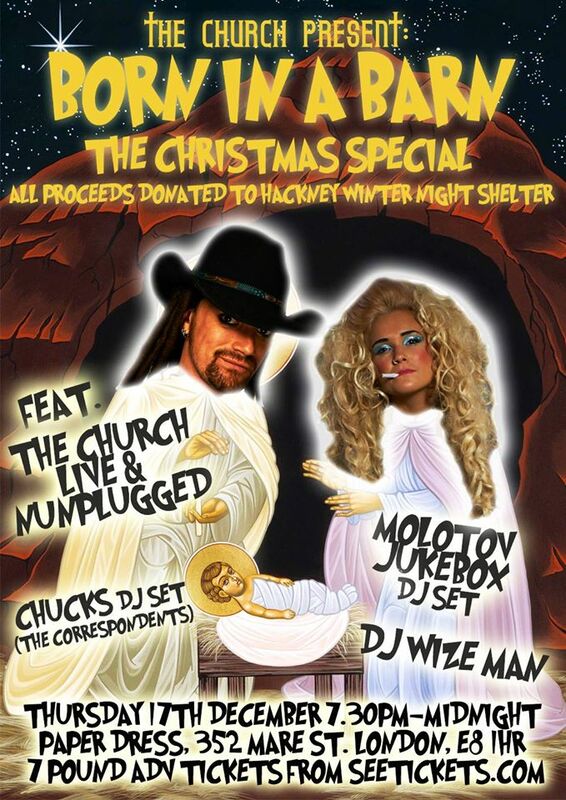 On Thursday 17th December, the riotous foot-stomping Gorgeous George will be throwing a free Christmas party at Hoxton Square Bar and Kitchen. The eclectic sound of the seven piece cockney rebels will get you downing your Grandma’s eggnog ready for a riotous evening of festive fun. Joining the party will be Irish folk stalwarts Hungry Grass, and to top it all off the evening will be compered by the charming Arthur Foxaque (Top Shelf). Don’t miss out on what will be a smashing night of Christmas cheer! Beans On Toast’s new album out today! The charming and talented songwriter, Beans On Toast, has just released his latest record, Rolling Up The Hill. His latest single, ‘I’m Home When You Hold Me’ is an endearing ballad that references Netflix and the comforts of being with the one you love at home! Have a listen below.